There are a number of tourist spots in Jaipur. Each of these tourist spots has a distinct appeal. The tourist spots of Jaipur ranges from forts and palaces to beautiful gardens as well. The gardens have in fact played a distinct role in imparting a refreshing look to the city of Jaipur. 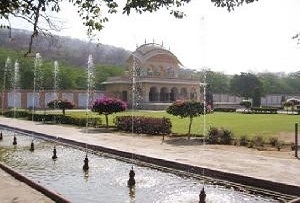 The Sisodia Rani ka Bagh is one of the most remarkable garden in Jaipur. 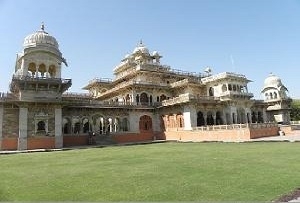 Largest garden in Jaipur, it was built by Sawi Jai Singh 2 to gift it to the Sisodia Queen. The tranquil beauty of the garden will surely provide you a refreshing experience. Though there are a number of other remarkable gardens in Jaipur like Vidyadhar Garden and Kanak Vrindavan Valley but the charming ambiance of the Sisodia Rani ka Nagh sets it apart from others. Located on the Jaipur-Agra highway in the southeast corner of Jaipur, the Sisodia Rani ka Bagh boasts multi level gardens. It also has a number of other features like water courses, pained pavilions and fountains. These features make the garden even more beautiful. The painted pavilions in the garden impart a refreshing look. The Sisodia Rani ka Bagh also has a lot of historical significance as well. Built by the Sawau Jai Singh 2, the garden was built with a purpose of presenting it to his beautiful Sisodia queen. Located only 10 kilometers away from Jaipur, it was truly a worthy gift. 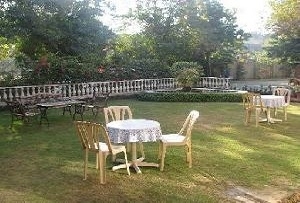 The various features of the garden boast a Mughal style. 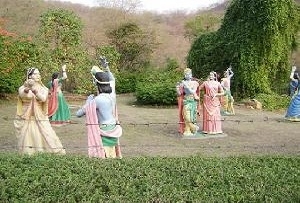 Looking at the garden, tourists can easily understand the usage of the garden during the royal times. During those times, the queen used to enjoy the cool breeze, fresh air and the beautiful landscape. The garden served in a perfect way to provide pleasure to the queen during those days. Currently, it is still serving but a different purpose. The tranquil beauty of the garden has been attracting a lot of tourists thus increasing the total tourist count to Jaipur and serving the purpose of Rajasthan tourism policy. Visit to the Sisodia Rani ka Bagh have also got a number of other values added to it. The beautiful garden having a number of murals and paintings also bear great significance. These exhibits depict the legends of Radha –Krishna and hence are very attractive to ardent religion follower. However, you as a regular tourist will also enjoy every bit of your time in the garden.